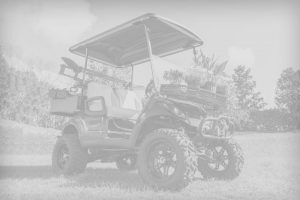 Kennesaw, GA (November 28, 2017) – Yamaha Golf-Car Company has added support-team members A.J. McGahee and Kyle Huckeba to its innovative new YamaTrack GPS Solution, according to YamaTrack Product Manager Matt Jones. YamaTrack is a cloud-based, multi-platform GPS technology that allows a golf course in-house golf car fleet management, plus an optional cart-mounted GPS Screen and smart-phone player app for enhanced golfer connectivity. McGahee joins the Yamaha corporate office in Kennesaw, Ga., as a YamaTrack Inside Sales Rep/Customer Support Technician. In his new role, McGahee acts as a resource to a YamaTrack client, advising on the system’s back office operations, fleet management applications and even troubleshooting any potential issues that can be passed on to a regional technical specialist. McGahee, who has an exceptional background in the hospitality industry, most recently served as general manager of Atlanta National Golf Club, a Pete Dye golf club just north of Atlanta. He previously served as clubhouse manager of Hawks Ridge Golf Club, a perennial Top 10-rated golf club in north Georgia. McGahee earned a Bachelor of Science degree in Hotel and Restaurant Administration from the prestigious Hotel School at Cornell University in Ithaca, NY. He is active in coaching youth sports and lives with his wife and two children in Kennesaw. 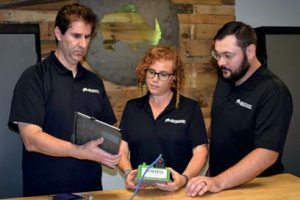 Kyle Huckeba, is the newest of the YamaTrack Technical Specialists, and will be responsible for any on-site installation or required testing, plus the training of the golf club operations staff in all of the myriad utilities of the YamaTrack system. Huckeba, who joined Yamaha in 2013, most recently served in the Specialty Vehicle Center, taking on a variety of tasks in the golf-car production division in Newnan, Ga. A native of Carrollton, Ga., he lives there with his wife, two children and a third on the way. For more information about Yamaha Golf-Car Company, call 770-420-6084 or visit online at www.yamahagolfcar.com.